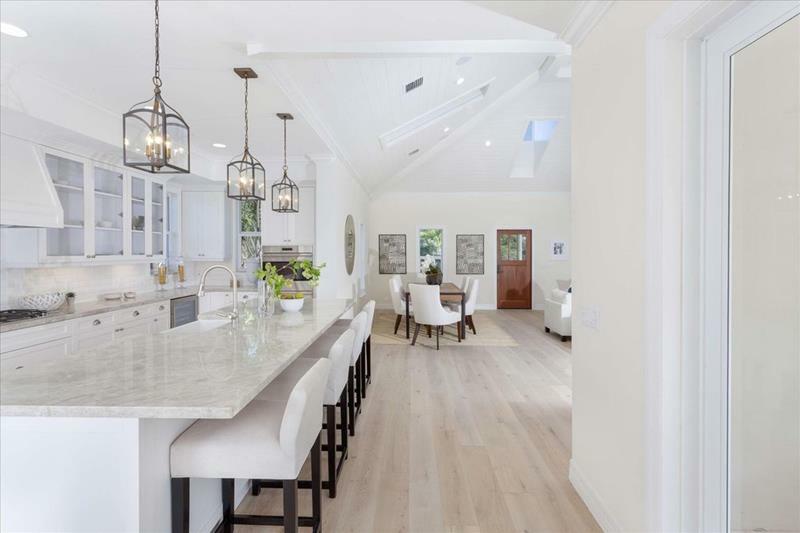 Whether you’re an aspiring Master Chef or simply want your home to be as beautiful as possible, most likely you go to sleep at night visualizing your dream kitchen. It’s understandable. When you have a kitchen that marries form, function and aesthetics, you have something that you’re going to treasure each and every day. With the light hardwood floors underneath, there’s no denying this open concept space is beautiful. 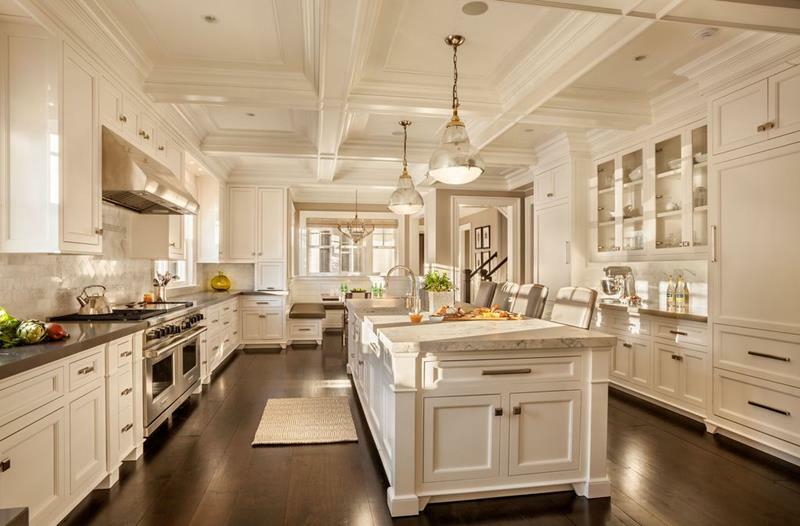 But it’s the clean design of the kitchen, which features marble countertops, that really brings spark to the space. Sometimes it’s not your kitchen itself that makes it a dream; it’s the view. 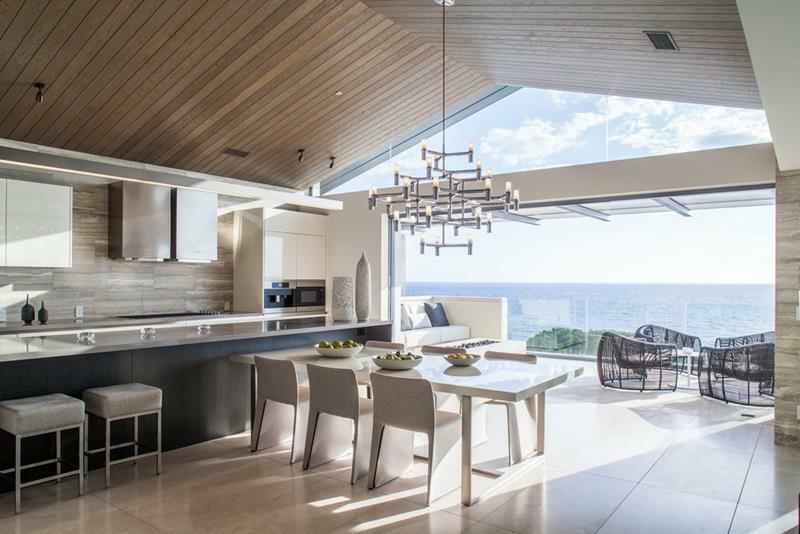 The simple and contemporary design of this kitchen ensures the view is the focal point here. 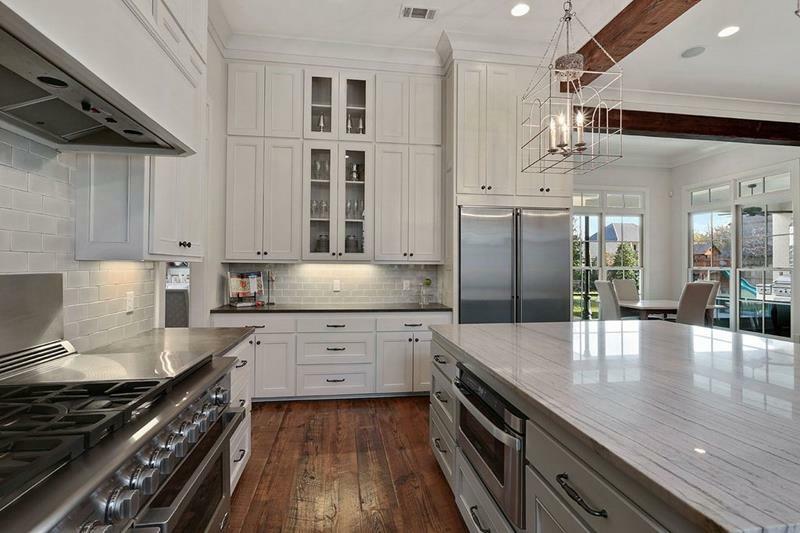 The high-gloss finish on the wood cabinets ensure that this dream kitchen design is always bathed in light. Gorgeous! 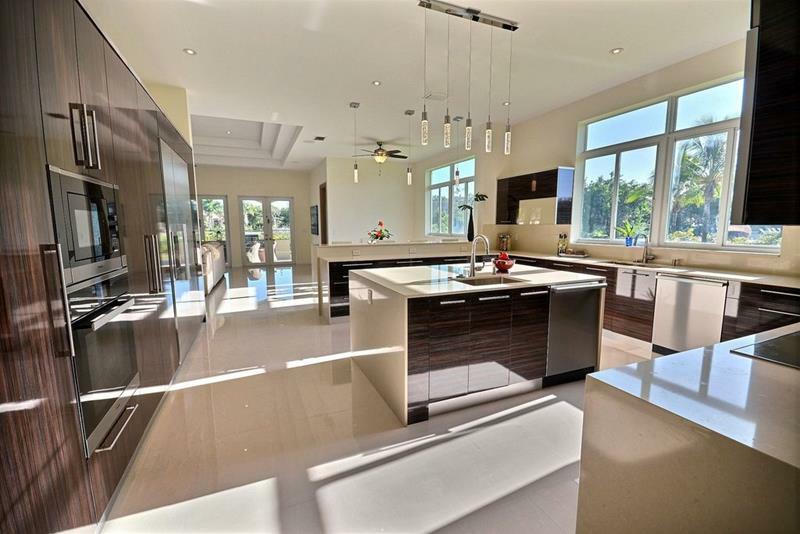 There are granite countertops and then there are ones like that of this dream kitchen’s center island. Those long, dark stripes really draw the eye. 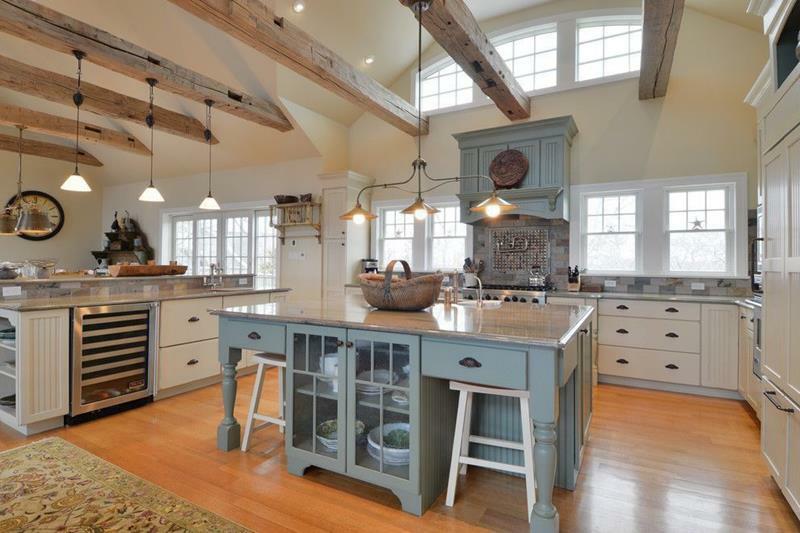 Have a thing for kitchens that feature a rustic aesthetic? This kitchen demonstrates you can get that look without things feeling “worn”.